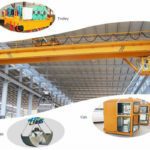 Overhead pendant crane is the lifting equipment which enhances working effectiveness and save time. This kind of product has many advantages of superior performance, compact structure and small net space size, which can fully use the effective space of the plant. 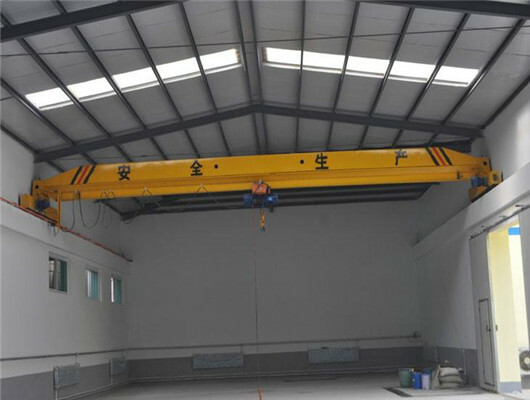 The overhead crane is widely used in metalworking, assembly, maintenance, and steel structure workshops, as well as various types of warehouses, etc. After assisting in lifting and increasing wind and rain protection measures, the crane regards as foundries which can be used for open yards in the metallurgy and workshops. This equipment makes the entire process faster, more accurate, and more intelligent, which not only increases production efficiency, but also reduces equipment capital investment. Weihua continues to follow up on the quality system and strives to build a systematic approach in order to the continuous pursuit of customer satisfaction in quality projects. We continue to provide pre-sales consultation, design and manufacturing, transportation and installation, maintenance and other comprehensive services for every customer and friends. We hope that the relationship reaches mutual benefit and win-win with our business partners. 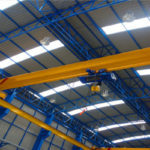 Are you looking for the overhead pendant crane? You can contact us. We will spare no effort to help you. 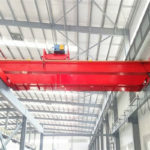 LX model single girder suspension crane which is a light duty track travelling crane works together with CD1, MD1 model electric hoists as a complete set. 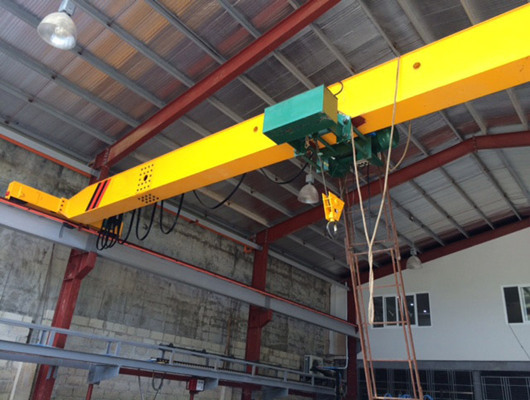 The lifting capacity is 0.5 to 10 tons. The crane span is 3 to 22.5 meters. The crane travelling and lifting mechanism have different various crane parts. Lifting mechanism is composed of electric hoist and travelling mechanism. The lighting speed and lifting height have different levels. The motor adopts taper type rotor motor. The power adopts uses three-phase AC380V 50HZ. The product adopts ground controlling and can work in harsh environment at the temperature of -20 to +40 degrees. However, it can’t work in some place at combustible and explosive environment. The crane is widely used in machinery assembling sites, warehouses and factories. Cranes are widely used in machinery equipment in various large areas such as heavy industry and building materials. 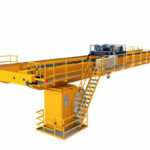 Bridge crane installation and maintenance can help operators better implement the equipment. In order to adapt to more places, the crane has evolved from single to multiple types. 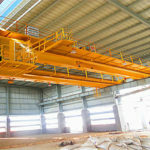 The most common ones are single girder cranes, double girder cranes, and jib cranes. 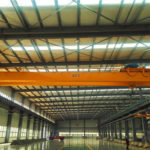 Especially for overhead pendant cranes, we arrange the crane training and course. If the customers want to learn more formation about the pendant crane, you can visit our factory and listen to a series of crane training. You will find out you learn more crane knowledge. The control system adopts the variable frequency speed control technology of PLC. Each organization adopts variable frequency speed control. There are PLC variable control program, on-line monitoring, fault display and alarm equipment. The institutions are interlocked with each other which can realize the integration of speed control. The crab travelling and trolley travelling mechanisms adopt lightweight design. The operating mechanism adopts the design of safety protection limit devices. The main beam uses research and application of the automatic welding technology. The complete crane equipment adopts the research and design on lightweight supporting technology. Its simple structure can reduce the height of the crane plant. This product with high assembly precision uses a large number of machining equipment and the overall processing, which improves small structural deformation. Its site utilization rate is very high. Operation range is wide, and versatility is very strong. Owing to convenient sites, it is more popular than other cranes. If you want to visit our factory, welcome to China. You will find out more surprises. We will arrange many gifts for you and provide excellent service. 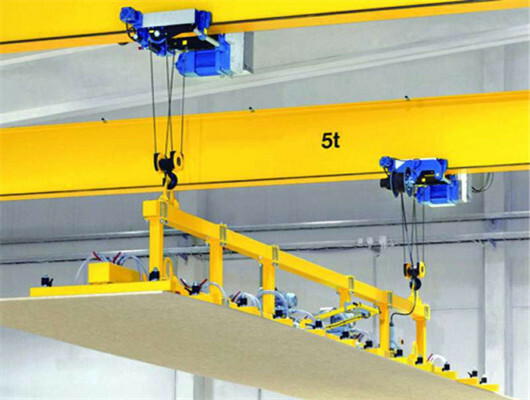 The overhead pendant crane is a commonly lifting equipment in construction machinery. We can see various types of cranes and are widely used in metallurgy, mining, machinery manufacturing and processing industries. As companies frequently use these products, more and more equipment can’t meet the demands of market. So, after several years of research and development, our group designs products with more simplicity and convenience. In addition, there are two operation methods of ground control and remote controller. You can combine into two ways. In the ideal design, the crane-sized trolley travelling mechanism is a straight line. As the crane’s crab travelling and trolley travelling mechanism often walk back and forth on the track, the crane equipment must has accurate design and installation. In order to keep the work process safe and effective, our staff carefully pay attention to the production line of each line. When it comes to quality, if it is our responsibility, we will undertake and deal with it. Under normal circumstances, it can’t exist our products. In addition, we also provide corresponding training and course for customers. If you are interested in our products, please get in touch with us as soon as possible. Generally, the product needs to work together with CD1, MD1 model electric hoist. In order to ensure safe production, our company has made the most basic requirements for safety requirements in the design, manufacture, inspection, use, and management of lifting machinery. For cranes working in high temperature, dusty, and toxic environments, we design the enclosed cabs. For open-air cranes, we designed a cab for wind, rain, and sun protection. The configuration and layout of the driver’s cab can provide the operator with a good view of the working range, which can facilitate the operation and maintenance. After more than several decades’ development, our firm is now one of the leading manufacturers and suppliers of construction machinery in China. 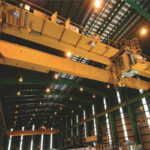 Currently, our company can supply customers from all over the world with all kinds of overhead cranes. 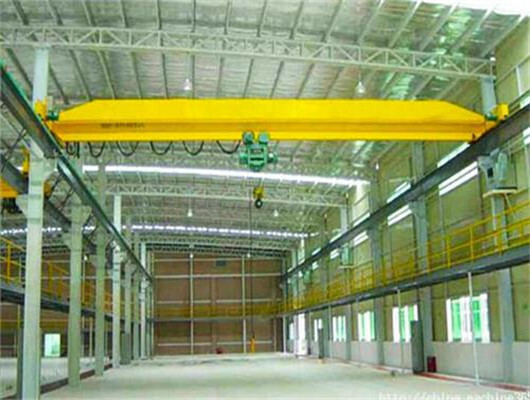 Especially for the overhead pendant crane and hoist, we will provide reasonable price for new and old clients. Our products have exported more than 60 countries and regions. 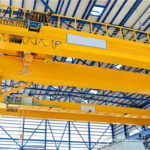 Are you researching for the overhead crane? You can call and email us. Weihua is your best choice.